Time for a little Romance? "Make any evening an excuse to cook up something special... for that special someone." Joseph Henry Limited's In house chef, bringing great recipes for you to try each month. We carefully selected a three-course menu that you could whip up effortlessly and impress your loved one this Valentine’s Day. We stuck to light, non-heavy (zero-garlic!) dishes – and ensured that many elements can be made ahead of time. 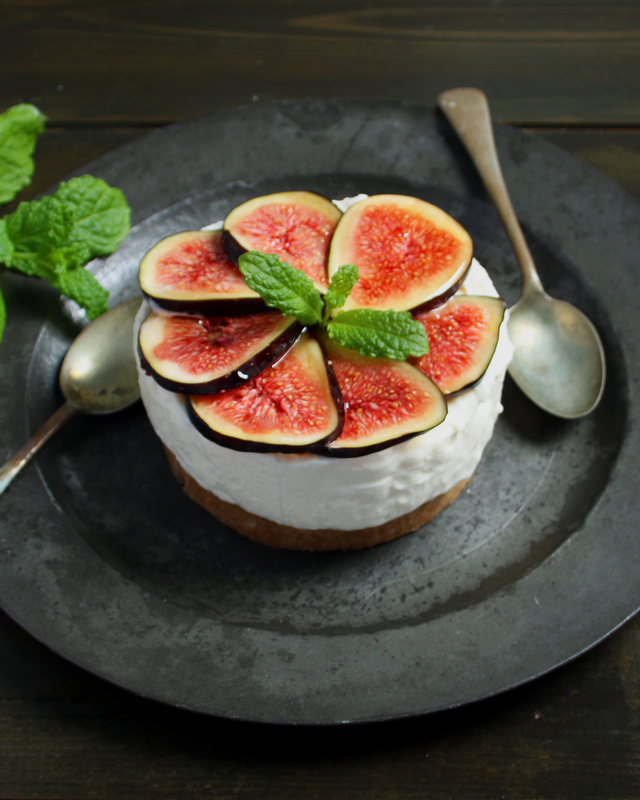 The inclusion of fig in our dessert was a playful nod to the popular theory that figs are a natural aphrodisiac. Happy Valentine’s Day! A sophisticated, delightful starter to set the mood for the evening. This classic combination of beetroot and goat’s cheese is served up in a homemade mini pastry case, sure to impress your loved one. Heat the olive oil in a pan and gently fry the onions until completely softened and caramelised. This could take quite a while (approx. 15-20 minutes). Once golden and caramelised, stir in the thyme leaves and season with salt. In the meantime, cut out circles from the puff pastry and press into 2 greased mini, loose-bottomed tart tins (10cn diameter; 2 cm high), pressing firmly in all corners and sides. Trim the pastry from the top edges to neaten. Poke little holes in the base with a fork, then scrunch up two small squares of parchment paper (large enough to cover the bottom of the tart bases) and place on top of the raw pastry. Cover the parchment with baking beans or raw rice. Place the tarts in the oven for 15 minutes, then remove and set aside to cool a little. Once the paper and beans are cool enough to handle, remove them from the pastry cases. At this time, you can slip the cooked tart cases out of their tins and onto a baking tray. Brush the edges lightly with the whisked egg yolk and spread the caramelised onion-thyme mixture onto the base of the cooked tarts. Slice the beetroot using a sharp knife and cover the onions with beetroot slices. Cover the beetroot with crumbled goat’s cheese and return to the oven for 10 minutes to warm the through. Once the tarts are ready, remove from the oven and transfer onto two plates. 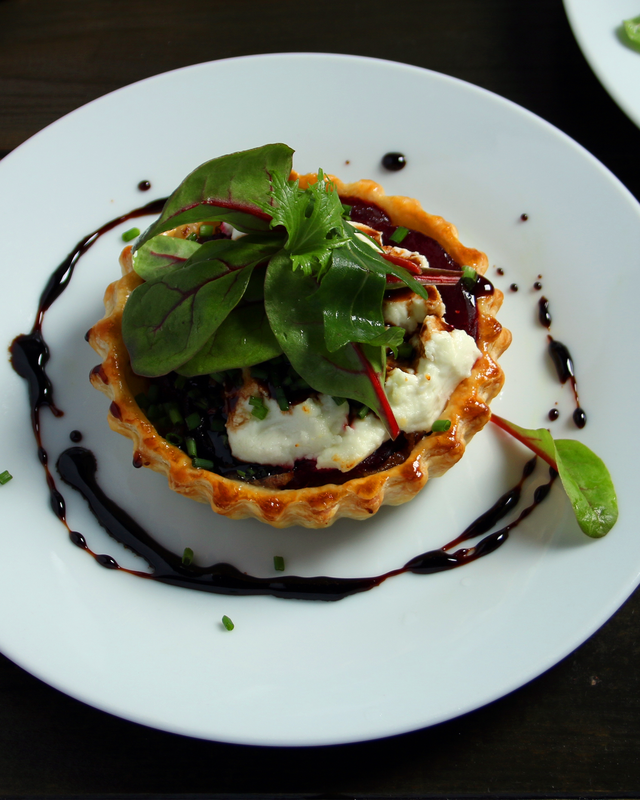 Drizzle over the reduction and dress each tart with snipped chives and baby salad leaves. TIP: You may only need to use ¾ of the rolled puff pastry. Wrap up the remainder, label and store in the freezer - you never know when you may need scraps to decorate the top of tart in the future. Steak is always a treat, especially when cooked well. Steering away from garlic on the romantic night, we made a delicious herb butter to top the steaks. The butter can be made ahead of time, leaving you more time to enjoy the company of your loved one. 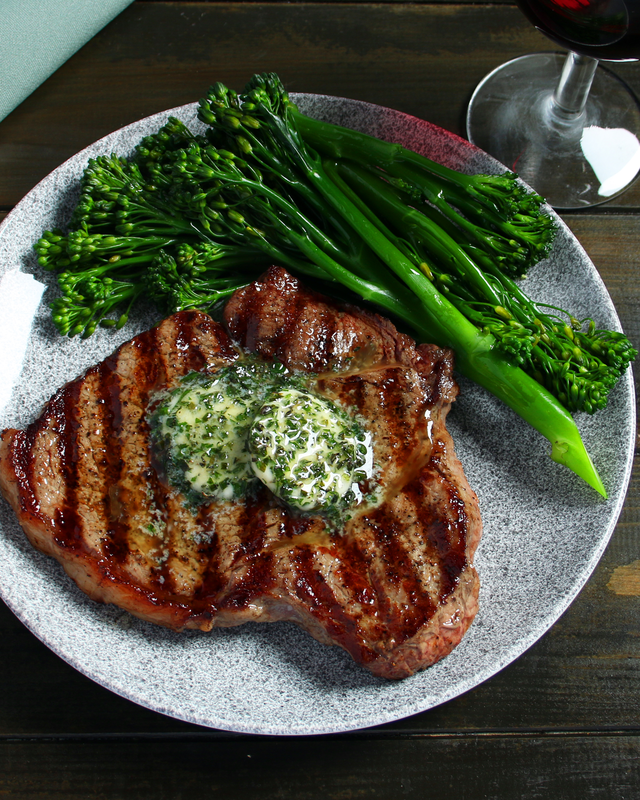 Serve with greens that do not require a lot of time in the kitchen (like broccolini, like we have done) which can be prepped earlier in the day and finished the same time the steaks are on. Combine the softened butter with the finely chopped mixed herbs. Season with lemon juice and salt. Spoon the mixture onto a sheet of clingfilm and fashion into a long log-shape. Roll to create a compact cylinder using the cling film and seal the ends by twisting them. Place in the fridge overnight. When ready to cook, season both sides of each steak with a little salt and freshly ground black pepper. Heat the olive oil in a pan and grill the steaks over high heat until done to your liking. In the last minute of grilling, remove the butter from the fridge and slice into discs using a sharp knife. Place a few onto the steak and allow to partially melt before removing from the heat. Season with sea salt flakes and serve with sides of your choice. We made a quick, tasty side dish of broccolini. Simply bring a pot of salted water to the boil and add two portions of trimmed broccolini, boiling it for 2-3 minutes. Remove from the boiling water and plunge the broccolini into a bowl of iced water to halt any further cooking (you want to retain a bite) Once cool, remove and drain well using a colander, then spread out on a tray lined with kitchen paper. When ready to cook dinner, remove broccolini from the fridge and reheat in a pan with a tablespoon unsalted butter until coated in melted butter and heated through. Season generously with sea salt flakes. Something sweet to bring you closer together, literally. This cheesecake was deliberately made smaller to encourage you share - so tuck in and enjoy! Start by preparing the mould. Place a large food presentation ring (10cm in diameter x 5cm high) onto a plate lined with parchment paper. Trim and grease a strip of parchment paper and line it (greased-side on ring) along the inside of the presentation ring. Break the biscuits up into a mini food processor and blitz to a fine crumb. In the meantime, cut the butter into small pieces, and gently melt in a small bowl in the microwave (about 45 seconds on medium-high). Remove from the microwave and stir in the teaspoon caster sugar. Immediately mix the melted butter into the blitzed crumbs and combine well. Tip the mixture into the prepared presentation ring and press down firmly with a small spoon to compact down. Place in the fridge to chill while you prepare the filling. In one bowl, use an electric hand mixer to soften the cream cheese. Set aside. Wash and dry the mixer attachments and beat the whipping cream in a separate bowl until soft peaks form. Add the icing sugar and vanilla essence and continue to whip until well-incorporated (be careful not to overwhip). Fold the whipped cream into the cream cheese, then pour into the prepared ring over the biscuit base. Use the back of a spoon to smooth down the top. Cover with cling film and place in the fridge overnight.